Back in World War 1, The Red Cross created a program to train nurses called Volunteer Nurses Aide Service. They are now known as Certified Nursing Assistants. As a CNA, you’re going to get pooped, peed, and vomited on, and it is not a road to riches when it comes to working as a CNA. But, more than any amount of money, you’re doing a greater good. You, as a CNA, are taking care of people who so desperately need you. There’s no bigger act of kindness than selflessness. Also referred to as nursing aides, certified nursing assistants work under the supervision of LPN’s and registered nurses to help care for patients. 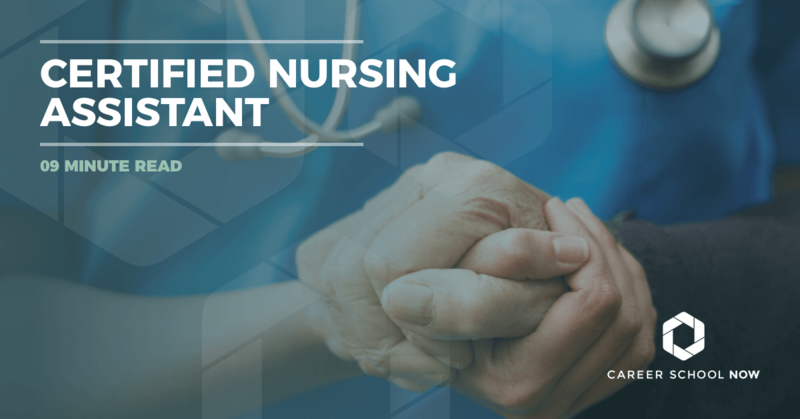 CNA’s can find jobs in a variety of healthcare settings such as hospitals, outpatient and assisted living facilities, nursing homes, and as an in-home caregiver. Here are some things you can expect in your typical day-to-day as a CNA. DO YOU THINK YOU CAN DO THIS JOB? As a certified nursing assistant, you’ll be working closely with the patients. You’ll be in the room for many of your patient’s life-changing moments, from birth to death. And, the role you play in relation to registered nurses is crucial. Certified nursing assistants aren’t necessarily given credit for the amount of work they do, but they do it because compassion and empathy make up the majority of their DNA. One important thing that should be your mantra as a CNA is to treat others how you would want to be treated. Because someday, it could be you in that hospital bed, depending on a CNA to take care of you. Treat your patients like they are your family members. Never abuse, hurt, or neglect them, no matter how frustrated or disgusted you get. Quality One: You have to be a team player for this job. This is not a solo gig, and you have to work well with others to be productive and efficient in your work life. Quality Two: There are a lot of tasks piled up on your daily to-do list. You need to be a highly motivated person to work as a CNA otherwise you’ll get overwhelmed. Quality Three: When working in the medical field, communication is an essential trait necessary for success. You will be talking to patients, their families, nurses, and doctors throughout the day. Clear communication skills are imperative. Quality Four: You need to have a ton of patience and compassion when working with patients. You’ll be working amongst a variation of personalities. Some of your patients may be super easy while others may not, and you will need to keep in mind where they are coming from. Quality Five: It’s important to be able to work well under pressure. There are going to be days where you think you’re going to explode because of the volume of the work you have to do. So having the emotional stability to handle all the different scenarios that can arise is crucial. Quality Six: Being the owner of a sunny smile and cheerful disposition that radiates optimism are a definite plus for the position. There are going to be many moments when you’ll be the one having to give patients hope, and sometimes all it takes is a smile. Quality Seven: Emotional and physical strength. Very often, you’ll need to use both of those strengths at the same time. Quality Eight: You must need to know how to advocate for yourself. One downside to CNA positions is that they are sometimes used as facility scapegoats so there may be times where you will have to speak up to defend yourself. An average of three months and $1200 is all it takes to begin your career in the healthcare industry. CNA work isn’t for the faint of heart; it takes one tough person to be able to withstand some of the situations you’ll face. But, there are also so many great perks of working as a certified nursing assistant. It’s an emotionally satisfying and rewarding choice of careers. While your job duties can certainly be a bit on the stressful side, at the end of the day, you’re helping others, and that can be good for the soul. If you plan on furthering your career by using your CNA job as a stepping stone, you’ll be able to explore alternative medical related options firsthand because of how closely you’ll be working with others in varying aspects of the field. It will help formulate your plan for the future. Because so many nursing schools have gotten extremely competitive, many are now focusing on admitting those who are already certified nursing assistants. So, this will give you a significant boost when it comes to enrolling in a nursing program. Your CNA experience can be used as credits toward a registered nurse degree. And from there, the career ladder only stops when you say it does. There are many different environments you can find work in; you aren’t just pigeon-holed into a hospital setting. Whether you want to relocate to a different environment or a different state, as a CNA, anywhere they are hiring is your oyster. Flexible scheduling allows you to have a life outside of work. Healthcare within the work environment is a 24-hour a day job. If you need to work evenings and weekends, or mornings, it’s easy to fit your needs and desires into the schedule. Once you have your high school diploma or GED, it’s a relatively straightforward and easy path toward becoming a Certified Nursing Assistant. You’ll just need the proper training, and programs are available through high schools, community colleges, technical schools, and hospitals. Some medical facilities provide CNA training, as well. And those may be free as opposed to the average of $1500 for other training programs. Every state has its own requirements for CNA training, so it’s important to learn about yours ahead of time. Most states only require between 75-150 hours of combined classroom and hands-on instruction. After you’ve received your training, you’ll have to become fully certified. You’ll take your state specific exam which will include both a clinical and practical portion. Most likely, you’ll begin studying and prepping for the exam while you’re in school. Most programs really drill their students to ready them for certification. This is because the more students they are able to pass, the better their school ranks. Consider taking the exam as close to the end of your class as possible. That way, the information is still fresh in your mind, and your chances of passing are greater. If you aren’t able to conveniently schedule your certification exam, you’ll still be able to work for a couple of months uncertified. Students who have taken the exam have reported the clinical portion of the exam to be a lot harder than the practical section. You may be required to bring a friend in for the clinical part; he or she will have to pretend to be your patient. It’s all fun and games, only a lot harder. Your poor friend will be sort of the test crash dummy, the recipient of all the newly learned CNA skills you have up your sleeve. Don’t fail this portion of the test; it’s a matter of life or death. Just kidding. Depending on your state, you may have to provide fingerprints and pass a background check. Some states also require CNA’s to take a certain amount of continuing education credits every year. After your instruction is complete, you’ve aced your exam and can officially call yourself a Certified Nursing Assistant; it’s time to find a job! The good news is, there’s a huge need for certified nursing assistants so, as long as you’re qualified, job hunting shouldn’t be too tiresome. LPN: Licensed Practical Nurses(LPN) usually supervise CNA’s. There are a few areas where they do overlap but LPN’s get to work a bit deeper in their patient’s care. More education is required if you decide to become an LPN. You can choose between a diploma/certificate program or an associate’s degree. LPN’s make an average annual salary of $46K, and it takes between 9 months to 2 years to get the appropriate education. RN: To become an entry level RN, you need an associate’s degree. From there, a bridge program is usually available to RN’s wanting to get their bachelor’s of science in nursing. The average salary for a registered nurse is around $65K per year. Specializing: Once you’ve become an RN, you can choose a specialization such as a pediatrics, maternal health, and more. Or, you can decide to continue your education and get your Bachelor’s of Science-Nursing, Master’s of Science-Nursing and beyond! A certified nursing assistant is more of an entry level position within the medical field. There isn’t a lot of education involved in becoming a CNA, and it is considered more of a menial job despite the fact that they are the backbone of whatever medical facility they are working in. The median annual salary of a CNA is a little under $27,000 with the high end being closer to $38,000. Strong employment growth is predicted for CNA positions through 2026. 11 percent in fact, which is much faster than the five to seven percent average for most other occupations. Driving the rise in employment opportunities is the fact that baby boomers, one of the largest demographics of people, are starting to age. Statistically, age leads to more health-related issues such as dementia, heart disease, and other chronic conditions calling for the patient to need constant care. Another problem that creates a spike in job openings is the fact that CNA’s experience extremely low pay for such a highly stressful position causing many to quit their jobs and search for other types of employment.